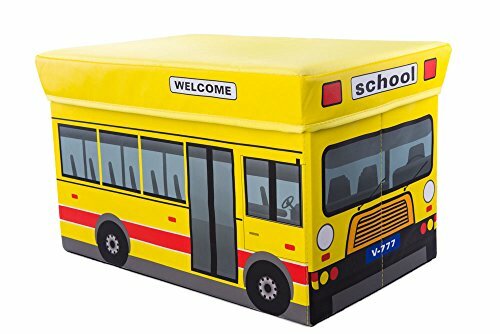 • Make cleaning kid clutter a fun game with the Clever Creations Kid's School Bus Collapsible Toy Storage Organizer. • Easily store your cube when not in use. In addition to Amazon's standard Return Policy, as the manufacturer we offer full Refund or Replacement Guarantee for 1 (one) full year. If you are ever not satisfied for any reason, please contact us directly. Thank you for choosing Clever Creations.